UNIQUE CHARACTERISTICS: The Fukien Tea is a perfect tree for the beginning bonsai artist. It is a fast growing hardy tree. With it’s small leaves, delicate white flower, and gnarled trunk it is one of the most interesting bonsai trees available. Tree produces tiny white flowers and small red berries. Unique foliage shape, and nursery grown. Unique nebari, and a dense canopy of foliage. 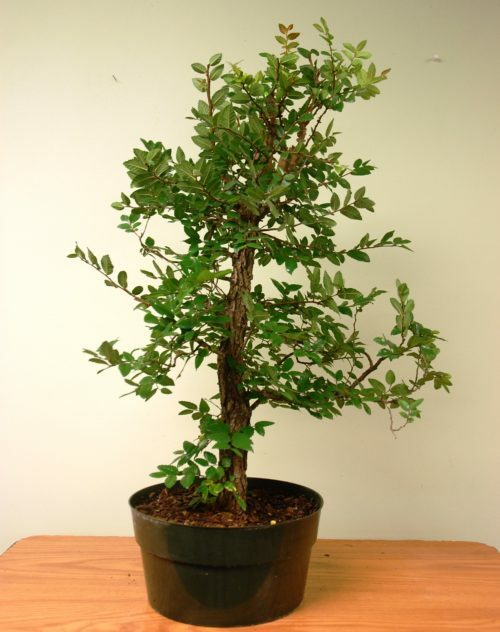 Fukien Tea likes full sun/ partial sun and moderate water and fertilizer.